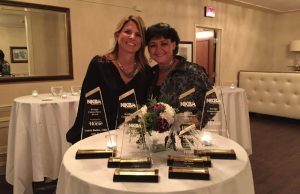 Ispiri’s in-house interior design staff left with six awards, including a trio of first place acknowledgements, during this year’s Design Competition of the Minnesota Chapter of the National Kitchen and Bath Association. The purpose of the competition is to give members an opportunity to showcase their projects from the past three years in a variety of categories, ranging from small kitchen to large, small bathroom to master bath suites, to unique applications and/or showroom examples that exemplify the quality of our finest kitchen and bath designer’s work. Ispiri offers interior designers as part of project team for its clients, which can include both in-house project management and an in-house architect. This integrated full-service project team approach allows Ispiri to ensure each project is completed on time and to full expectations of the client.